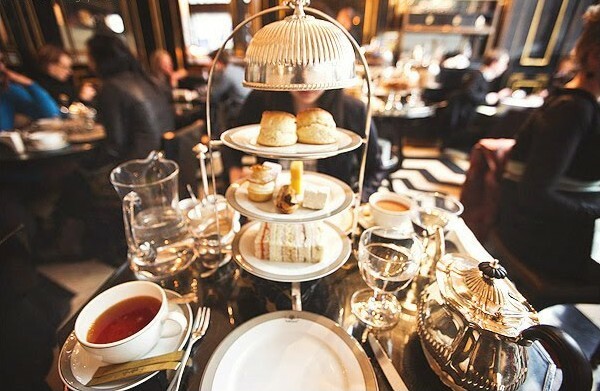 There’s nothing more British than attending an afternoon tea. Here’s my top 5 favorite tea rooms in London. Looking for a quirky atmosphere with incredible food? Sketch is the place for you. 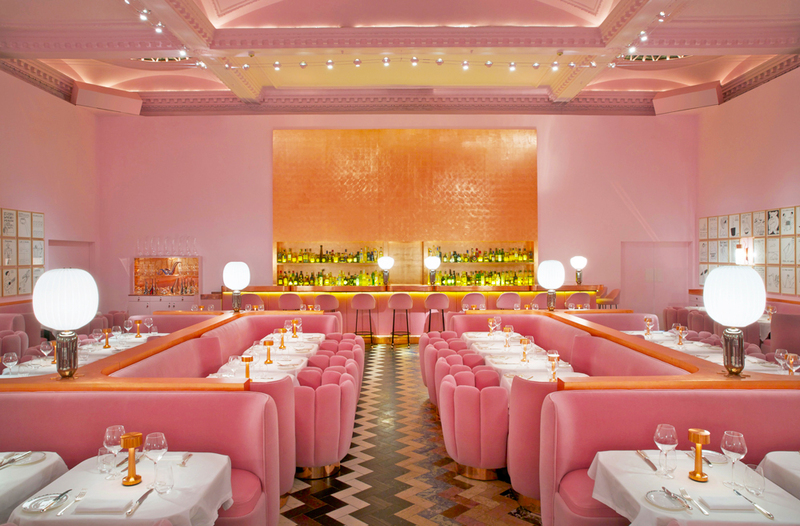 Sketch’s “Pink Room” has become legendary on Instagram for its striking interior that mixes feminine hues with avant-garde luxe and humorous works of art. This Mayfair must-see serves afternoon tea with dainty macaroons and delicious savories to satisfy any sweet tooth. This self-proclaimed ‘café-restaurant’ is on every visitor’s checklist, even if it’s just for people-watching. A mix of British heritage and European grandeur, The Wolseley’s afternoon tea never disappoints for a classic warm scone with clotted cream and homemade jam. Make sure to make reservations in advance to sit in one of the prettiest rooms in London. 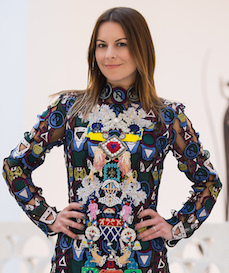 Leave it to the Berkeley to create an afternoon tea around designer fashion. 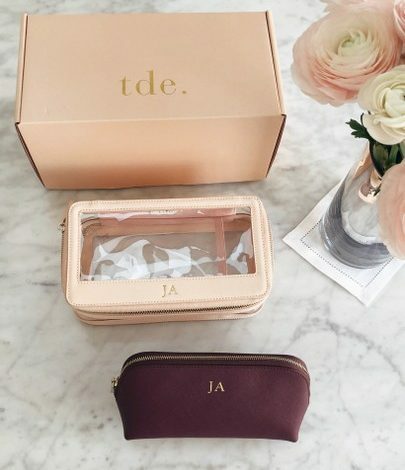 The original tea room for London’s most fashionable ladies takes inspiration from LFW collections by creating mouth-watering sweet treats that resemble pieces from the runway. Serving vanilla cookies shaped in Burberry’s iconic trench and Christian Louboutin heels, this is every fashionista’s sweet dream. An institution for luxurious British taste, Claridge’s hosts the most timeless tea room with no detail spared. 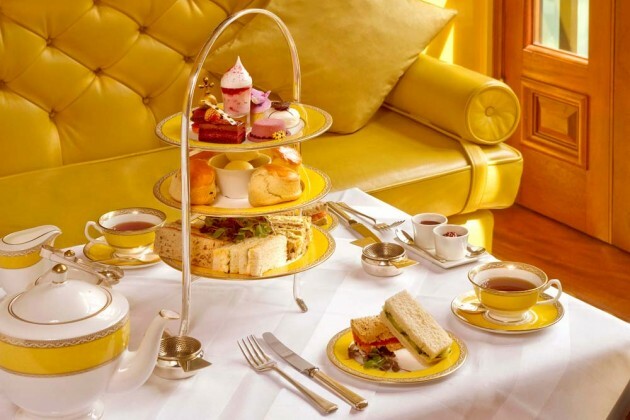 This award-winning afternoon tea serves savory pastries, tasty sandwiches, and rich scones on classic china to leave every visitor with an unforgettable experience. For the quintessential British experience, the Goring’s historic tea room has been entertaining Royals and Prime Ministers for over 100 years. For those seeking a traditional afternoon tea, The Goring is the perfect introduction to all things great and British. 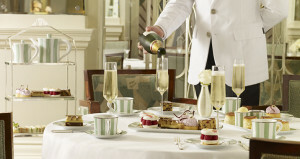 Enjoy a pot of their own special Afternoon Tea blend with a three-tiered silver stand full of the finest homemade pastries. OK, so we came, we saw, we ate! We loved this recommendation Juliet! Thank you so much. Hey girl! I’m a huge fan of LOL. The family and I will be visiting London July 2017. Can you give me a heads up on what to expect for weather temps? I notorious for packing wayyy to much stuff, so I want to have some reference! BTW your blog is awesome! I’ve been stalking it for a few months now, so much great info!